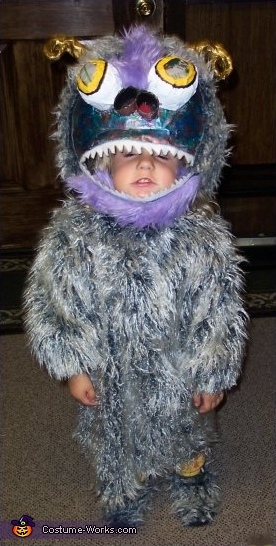 This is a Lily Monster (so says Lily's Mom and costume creator, Angela. Ü) And now that Miss Lily Monster is awake and smiling... She looks as ready as ever for Halloween and this Costume Contest! Anyone looking for a passionate costume designer? This homemade costume for babies entered our 2008 Halloween Costume Contest, and won 5th place!